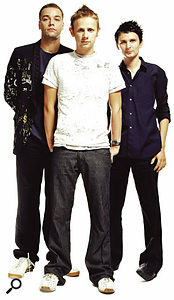 Muse (left to right): Chris Wolstenhome, Dominic Howard and Matthew Bellamy.Originally hailing from Teignmouth, Devon, the three began playing together at the age of 13, first as Gothic Plague, then as Fixed Penalty and Baby Rocket Dolls, before adopting their current name in 1997, when they released their eponymous debut EP on Dangerous Records. A second EP, 1998's Muscle Museum, led to critical acclaim, a rapidly growing live following, and a contract with Maverick in the US, and in the wake of albums Showbiz (1999) and Origin Of Symmetry (2001), the band have attracted plenty of interest thanks to songs that meld melodic, sometimes unconventional lead vocals with strains of grunge, punk, psychedelia and arena rock. 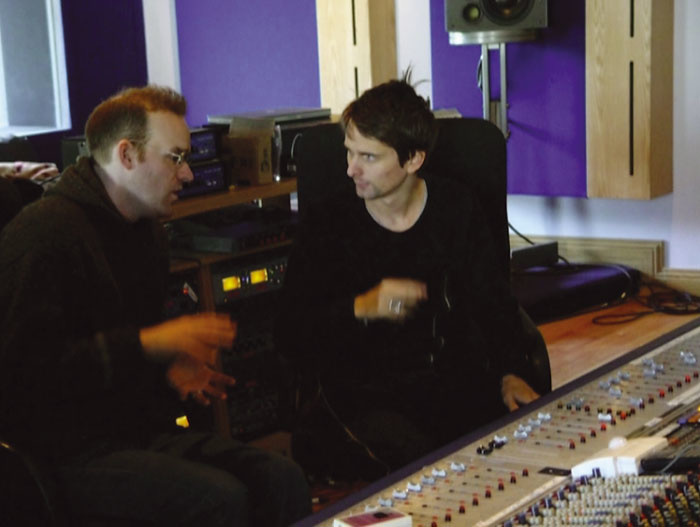 All of these elements are prevalent on Muse's new album, Absolution. Grouse Lodge Studios, where much of the tracking for Absolution took place. 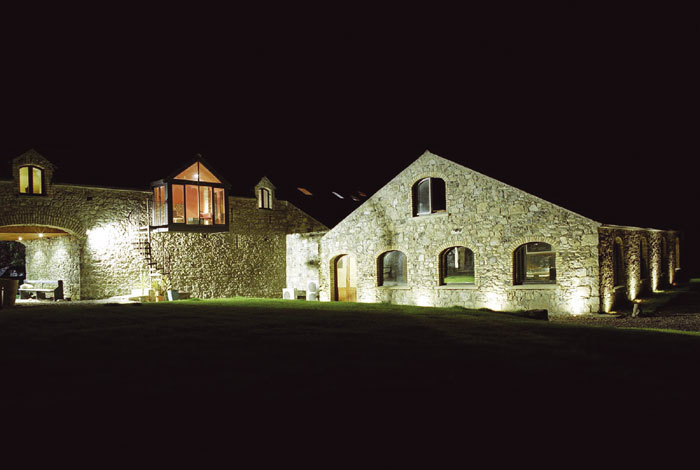 Photo: Tom KirkOpting for a rural residential facility to complete the recording sessions for Absolution, the band members located Grouse Lodge in Ireland via the Internet, and it turned out to be a successful choice. "We just showed up and took our chances, and the place was fantastic," Costey remarks. "We had a great time there. 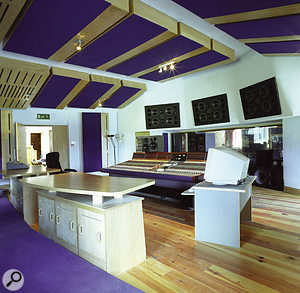 It's the only place I've ever been where there are windows all the way around the control room and tracking room. And it was kind of funny, because at one point Dominic was in the live area while we were sitting in the control room, and just as he was playing a really intense drum part, some guy on a tractor drove by the window that was behind him. You don't see that too often in a studio! Fortunately the isolation was good — there's no tractor on the record. 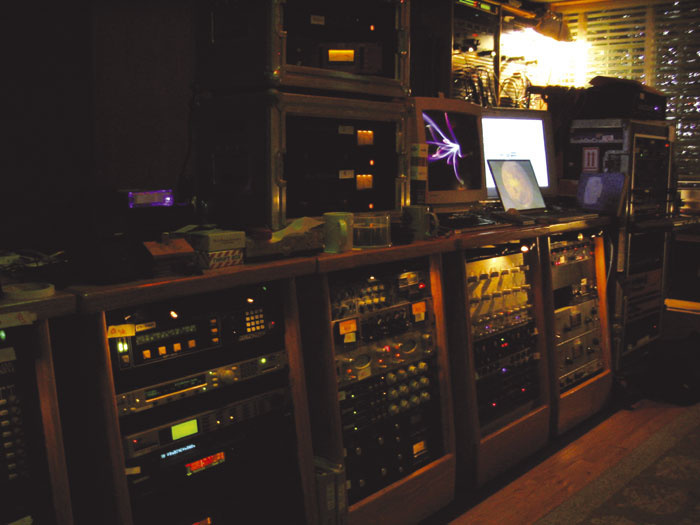 "Grouse Lodge has a Neve VR, and although it was a good-sized board, we still brought in 14 [Neve] 1073s and several [UREI] 1176s as well as some Pultec EQs. The studio contacted a number of rental companies for additional mic pres, and apparently that was all we could get because Iron Maiden were tracking somewhere and using up all of the other 1073s in the UK. 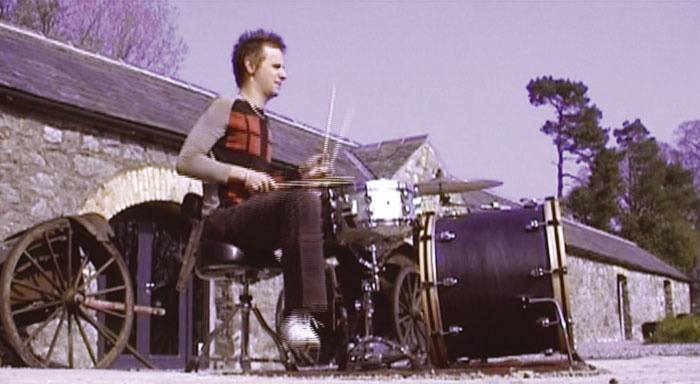 Recording the introduction to 'Apocalypse Please': Dominic Howard plays a drum fill from the Grouse Lodge swimming pool, with the driver from an NS10 speaker used as a close mic. Photo: Tom Kirk"Of course, one of the advantages of a residential studio is that you can just kind of take over the place, and so we were able to do things like set up mics in the residences, while for the song 'Ruled By Secrecy' I had this idea that I wanted the drums to be intimate and very close, yet with a unique distant ambience. "At one point, while we were rehearsing in the smaller Studio B, the band was running through the number with the doors open and I could hear it echoing around the courtyard. It sounded fantastic, so one afternoon while we were tracking I decided to set up the drums outside. We brought out a whole bunch of mic pres to ensure that the mic line was as short as possible, and we spent a number of hours setting this all up. A less successful experiment: Dominic Howard plays drums outdoors in the Grouse Lodge courtyard.Photo: Tom Kirk"The kit was backed up into a sort of corner, with brick on one side and stone masonry on the other, alongside a tractor. Directly behind it was open, and it was good that Dominic was close to the wall because that enabled him to get a little more bass out of his kit. We set up a couple of distant mics and ran them through some Neves, and then I sat down in the control room and he started playing... and it sounded terrible. I think we captured one take, but we didn't use it at all. We got a little bit of ambience out of the courtyard, but the overall sound was unbearably thin and it just didn't have the presence that I'd expected. "Still, one idea that we did try and that was really good found its way onto the tracks 'Apocalypse Please' and 'Time Is Running Out'. The intro to 'Apocalypse Please' has a tom section, and I really wanted that to sound just ridiculous and as epic as possible. So, lo and behold, the studio had a swimming pool, which of course was full of water, and what we did was bring over a couple of kick drums, put them on stands, and miked one of them really close with the disembodied woofer of an NS10 to get a low, thumping sound, while a few C12 ambient mics were placed in the swimming pool area. We also had to bring mic pres into the pool area for all the same reasons, and Wally and I set things up so that Dominic could actually stand in the water while he was playing, just because it looked really good." The control room at Grouse Lodge is based around a Neve VR desk.Photo: Tom Kirk"For their part, the guys had heard some of my mixes for Rage Against The Machine and Audioslave and they were quite keen to get a sound that was just as big and assertive. They play extremely well together and they sound quite powerful on their own, but as usual we needed to explore different drum kits to obtain the right sound. Dominic's very good at tuning his drums and Chris has his own bass tone down really well — he's got three amps with different degrees of distortion coming out of each. I also brought in a Diesel guitar head, which I'm pretty fond of, and Matthew played a bit through that as well as his own custom Marshall, and overall I set them up a bit differently to what they were used to. Muse singer Matthew Bellamy hits some pretty amazing vocal notes on the new record, most notably on cuts such as 'Apocalypse Please', 'Time Is Running Out', 'Hysteria', 'Blackout' and 'Butterflies And Hurricanes'. "He has an amazing voice and an amazing range," confirms Rich Costey. "He is completely confident with what he's doing. He'll just get in and, in three takes, he'll have everything he needs. Sometimes, with the vocals, not unlike the rest of the process, we would try out different things, different directions even once we knew we had something great, and while this would occasionally produce improved results, most of the time it wouldn't because Matthew's own first instinct was exactly right. "In terms of the vocal mics, we would switch between different ones according to the song. I'm a big believer in that as well. For example, he sang 'TSP' into a [Shure] SM7 that I had — one of the advantages for many singers who do a lot of shows is that they can grab hold of the SM7, carry it around the room and do whatever they want without creating very much handling noise. To me, that sounds quite a bit better than your more typical SM58, which a lot of people might use in the studio. The singer can press his face right up against the microphone without any worry whatsoever, so we used that on a few songs, while we mainly used a C12 for Matt on most of the more sedate vocals. Then again, in the case of 'Endlessly', we tried out a few mics — we tried an RCA 44, but that was just a little too dark, so we ended up going with the 77. "Matthew has tremendous vocal capabilities, and if anything he's still learning what those capabilities are. I think one of the things that he became more comfortable with during this project was the ability to sing in a little more reserved fashion. 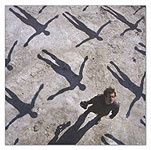 Like on the verses of 'Sing For Absolution', his tenor voice is very quiet and just beautiful, whereas normally he's pushing himself quite hard. Any time you work with a great vocalist it's pretty exciting. "Matthew's styling determined, to some degree, what I'd want to do with his vocals. For example, when he's singing loud, part of his sound frequently amounts to clipping the mic pre — I'd deliberately clip the mic pre on 'Time Is Running Out' as he sang louder and louder, adding more intensity and grit to his vocal. Distorting a vocal is so commonplace nowadays that to me it's the same as distorting a guitar or a bass. 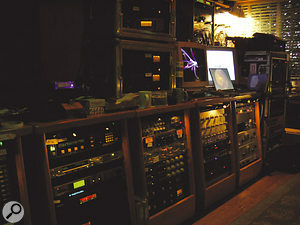 And much of the time when I'm mixing records for other people I'm distorting the vocal... whether they know it or not!" Matthew Bellamy's custom Manson guitars were mostly recorded through the aforementioned Diesel and Marshall amps running into a variety of cabinets. 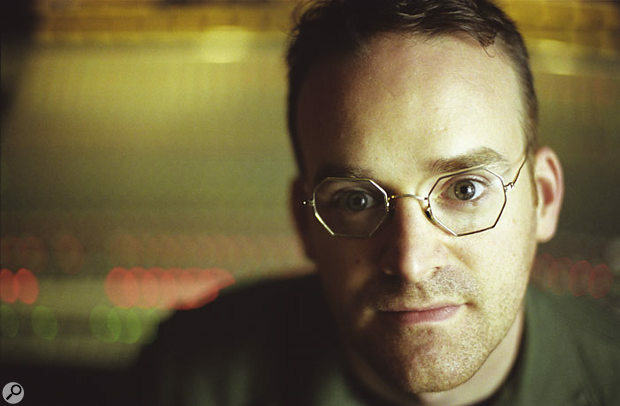 "The band played live together, facing each other in a semi-circle, and Matthew was singing, too, which he apparently doesn't normally do when they're cutting basic tracks," Costey explains. "Still, once we'd created those basics, it was a case of anything goes. I don't really believe in any hard and fast rules after that, and I don't necessarily like to go with one setup for a whole record. So, after we got the basics, we would try to push every single overdub to make it as interesting as possible. 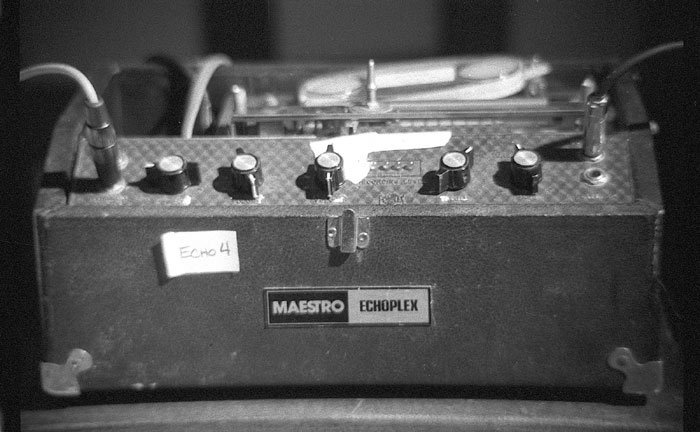 One of Rich Costey's much-loved Maestro EP4 Echoplex delays.Photo: Katy Alverson"The main piano sound on that song was heavily treated. I laid nails, guitar strings and all sorts of metal objects on top of the piano strings themselves so that they rattled, and then I miked all that with a pair of C12s. I had the dry piano coming into the console and I then split the signal so that half of it went to tape and the other half went to a [Digitech] Whammy pedal. 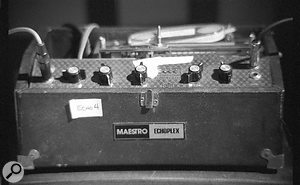 In fact, the Whammy pedal also got split, so that half of it went to — no surprise here — an Echoplex and the other half went to a [Lovetone] Doppelganger pedal. That achieved a fake stereo, with a dry attack front and centre, while the Doppelganger with the echo was on one side and the Whammy's echo was on the other. Then we doubled it, so that it wasn't even fake stereo any more; it was two performances, which made a lot more sense. 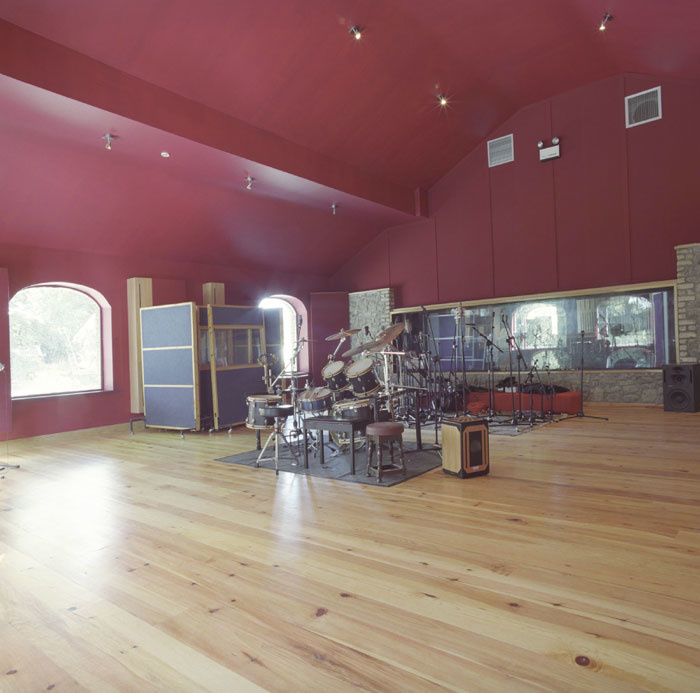 The Grouse Lodge live room.Photo: Tom Kirk"At the same time, another reason for the tight sound may be that I don't tend to use much reverb on things like drums when I'm mixing. I pretty much just used whatever ambience was to be found on the room mics. 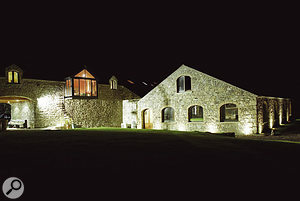 Then again, when we were at Grouse Lodge in Ireland, we occasionally augmented things in terms of the drum sound, and this was especially so on 'Falling Away With You'. We ran a couple of Earthworks mics way down to the other end of the building, in the hallway towards the residences, and the track had this ridiculous, cavernous pomposity to it. This wasn't very useful if the drum part was busy, but if it was a simple part then it sounded terrific, and so there were a couple of moments where I cranked those up quite a bit."